Go ahead and add J.J. Abrams to the list of men who are willing to speak up about how women are treated in Hollywood. 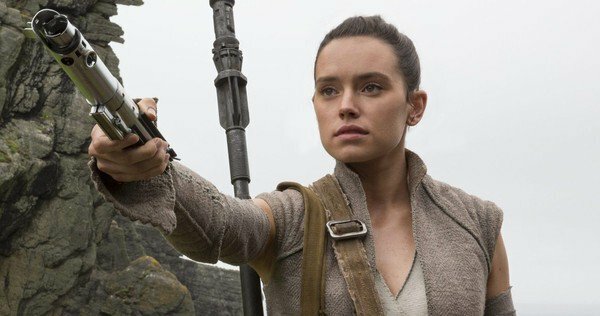 The filmmaker, who directed 2015’s Star Wars: The Force Awakens, defended female-centric storylines in a recent interview with Indiewire. First, some background. Star Wars: The Last Jedi, which was directed by Rian Johnson, came out in December of 2017. It was the most feminist Star Wars film yet. And soon after its release, an alt-right anti-feminist group called Down With Disney’s Treatment of Franchises and its Fanboys took credit for lowering its Rotten Tomatoes audience score. The number is now 48%, compared to the 92% given by critics. A sample comment reads, “I’m frustrated that feminism and diversity have made their way into this film. This has ruined Star Wars for me as well as my kids. Keep liberalism out of it and stop ruining once good things.” Not great. J.J. Abrams called out the trolls and talked about the Star Wars franchise in the context of backlash-ridden internet culture. "Their problem isn’t Star Wars, their problem is being threatened," Abrams said. "Star Wars is a big galaxy, and you can sort of find almost anything you want to in Star Wars," Abrams continued. "If you are someone who feels threatened by women and needs to lash out against them, you can probably find an enemy in Star Wars. You can probably look at the first movie that George [Lucas] did and say that Leia was too outspoken, or she was too tough. Anyone who wants to find a problem with anything can find the problem. The internet seems to be made for that." It’s good to know that J.J. Abrams is fully prepared to carry on the amazing storylines of characters like Rey. And his comments have especially appropriate timing, considering the Athena Film Festival is honoring him with the 2018 Leading Man Award. Previous recipients include Paul Feig (who directed Bridesmaids) and David Oyelowo (who starred in Selma). The award is given to “men in Hollywood who have a strong track record of serving as vocal allies of and effective advocates for women in entertainment.” We’d say Abrams definitely fits that bill.